While a number of national monuments and government buildings escaped the Virginia earthquake unscathed, both the Washington Monument and the National Cathedral are likely to remain closed for several days. After reports of the Washington Monument possibly leaning due to a 5.8 magnitude earthquake that struck Virginia Tuesday, the National Park Services has revealed an inspection found cracks in the stones at the top of the Monument. 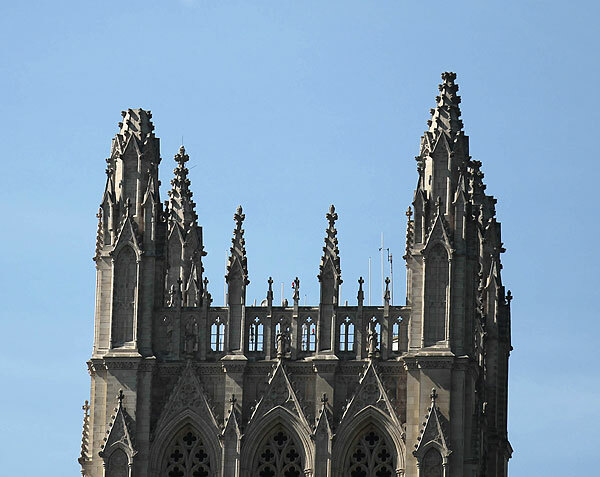 The National Park Services also reported damage to three of the four pinnacles atop the main tower of the National Cathedral, and visible cracks in the church’s structure. Officials also reported minor cracks, broken glass at 1857 Smithsonian Castle. The Lincoln and Jefferson memorials were closed for several hours but reopened Tuesday evening. Tuesday’s temblor also prompted precautionary shutdowns of 10 nuclear power plants in Maryland, Virginia, Pennsylvania and New Jersey and the evacuation of the Pentagon and the U.S. Capitol. The White House and the Eisenhower Executive Office Building were also evacuated as a precaution. The closings follow in the wake of a rare, powerful 5.8-magnitude earthquake that rattled the east coast of the U.S. on Tuesday afternoon, damaging older buildings, shutting down much of the nation’s capital. Tremors from the 5.8-magnitude quake centered in Virginia were felt on some parts of Martha’s Vineyard on Tuesday, including in Oak Bluffs, where reporters were traveling with President Obama. How credible are Libya's rebel leaders?